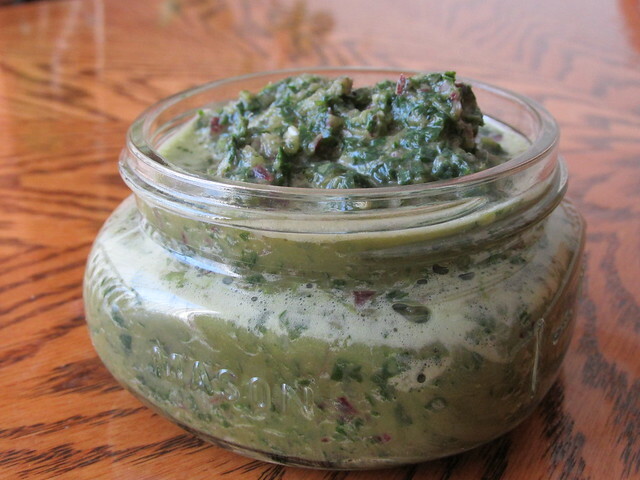 Chimichurri is apparently what most people call this decadent sauce of green goodness. 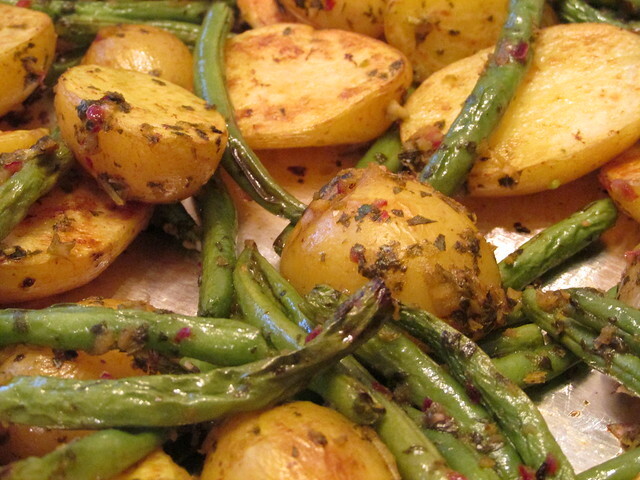 I however, literally threw what I thought would taste yummy on roasted veggies one evening and hoped for the best. After doing some research after I had made mine, I noticed it already had a name and that most people use vinegar, they also add red pepper flakes, and many times they add oregano. I did not add any of these since I did not want my veggies flavored with oregano and I also used lemon in place of vinegar since that’s what I had on hand. 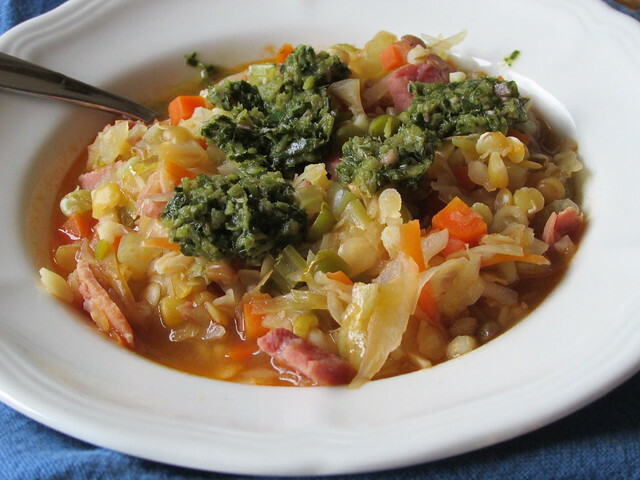 My outcome was amazing….light, tart, and it adds a burst of freshness to every dish. So I thought I would share it with you all today. 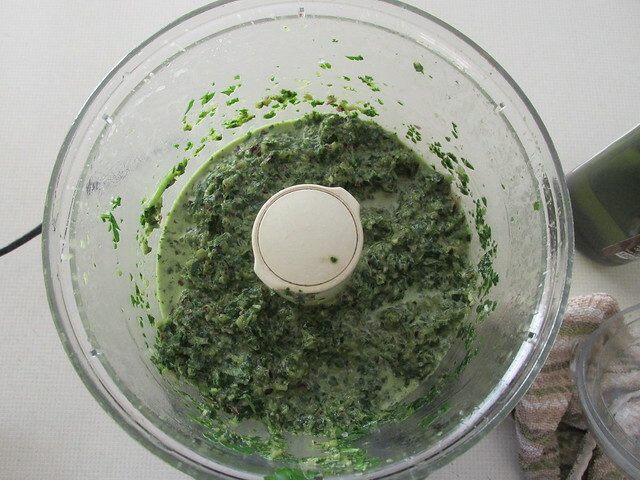 You literally just toss everything into a food processor and slowly add the olive oil while its running until you have the consistency you want. It will then keep in the refrigerator up to a week. As for usages….. go crazy and use it almost anywhere. I mixed mine into tuna pasta salad, put some atop a bowl of soup, and also mixed potatoes with it and roasted them in the oven for a few minutes. All this was fabulous…..I can’t wait to try it a few more places. 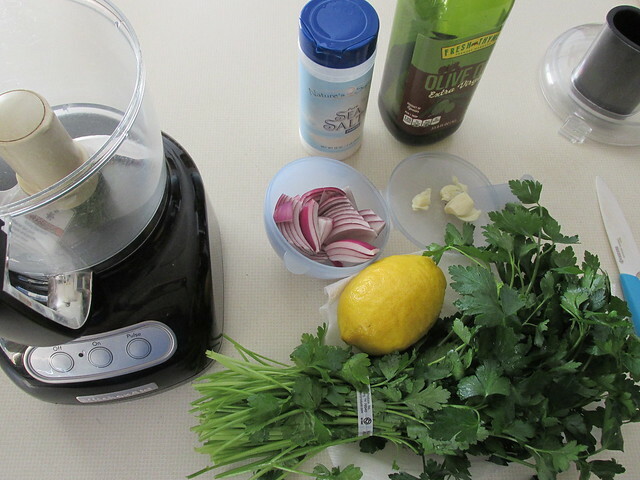 I am thinking it would be terrific on cod, with a leafy green salad, in a summer salad of cheese, tomatoes, cucumbers, and olives….or just about anywhere. 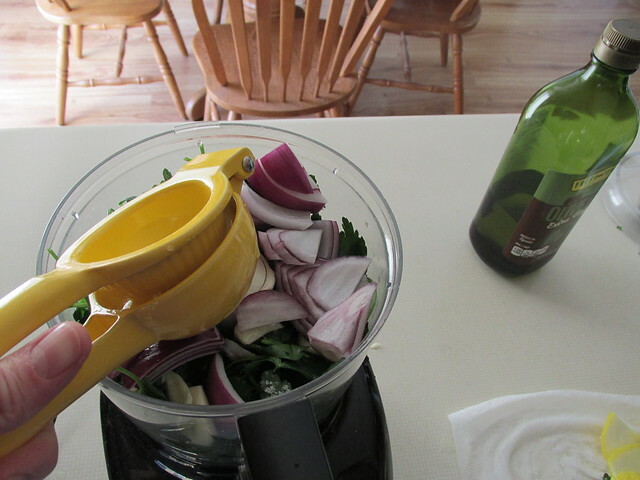 Shrimp sauteed in this sauce and laid atop a big bowl of pasta…..yeh, like I said, anywhere would be good. Oh my, my mouth is watering just thinking about it. I better add these ingredients to the grocery list again since I do believe it will be a common thing I keep on hand. 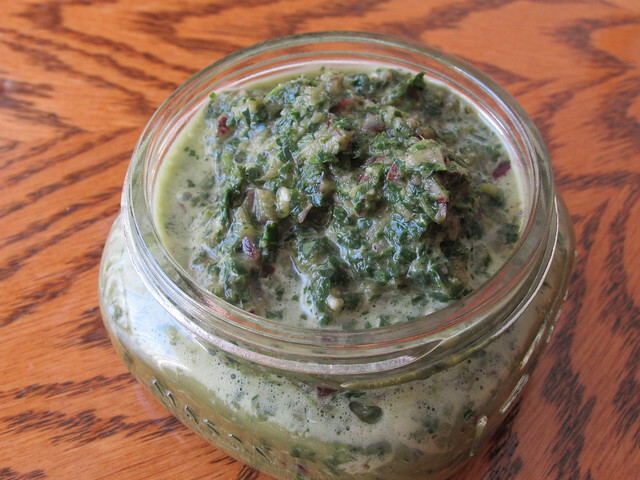 This entry was posted in appetizers, clean eating, comfort food, eating clean, food, healthy recipes, mealtime, recipes and tagged chimichurri, clean eating, eating clean, fast and easy dressings, greens, parsley, salad topping, soup topping by naturalred. Bookmark the permalink.